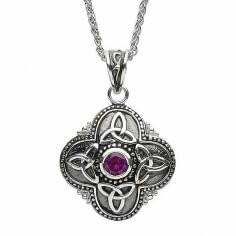 The large Celtic Tribal Trinity necklace is crafted from sterling silver with Trinity Knot accents, also featuring a bright purple Amethyst gemstone at its center. 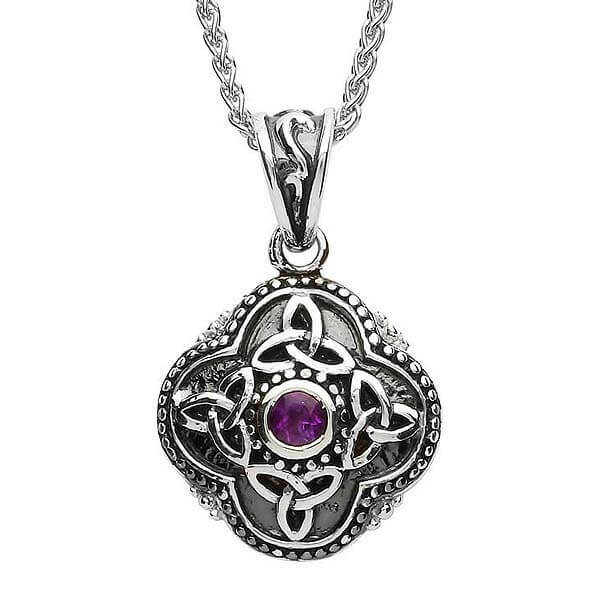 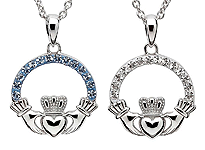 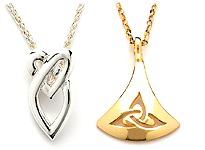 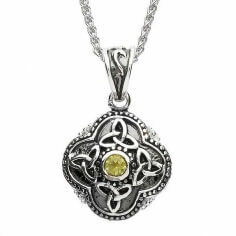 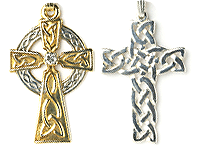 This unique pendant is crafted with great care and attention to detail by experienced Irish artisans. 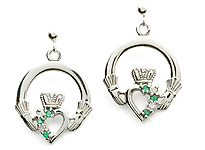 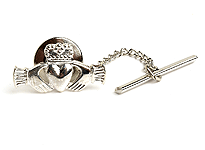 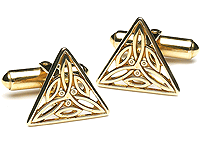 Tested and hallmarked for quality by the Dublin Assay Office.